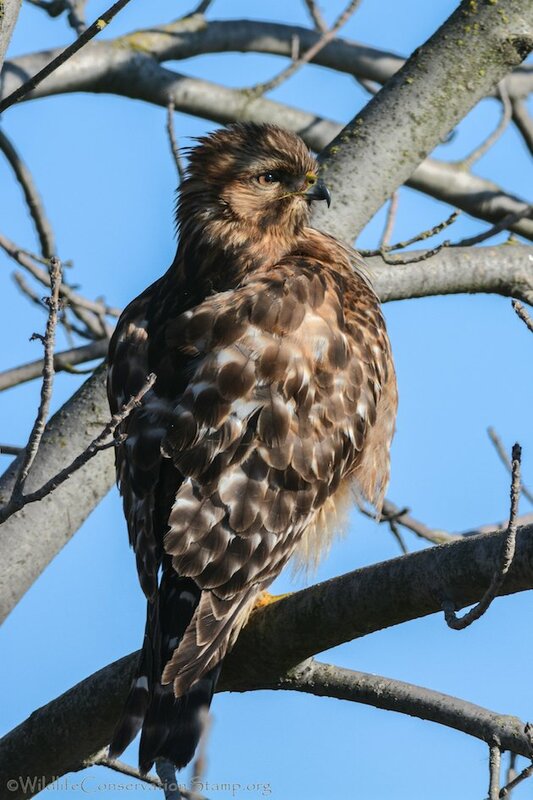 Red-shouldered Hawks (Buteo lineatus) are one of my favorite raptors and I am fortunate to have them nesting near my property. I hear them constantly calling with that steadily repeated squealing keeyuur, keeyuur, keeyuur, and I see them more often in early summer hunting for food for their nestlings. That being said, I found this juvenile recently at Sacramento National Wildlife Refuge. It was perched right next to the road on the auto tour route. Click on photos for full sized images. If you have read many of my posts you would know that the refuges of this complex are some of my favorite places to bird. The complex headquarters at Sacramento National Wildlife Refuge, Colusa NWR, and Delevan NWR all have photo blinds that are available to reserve. 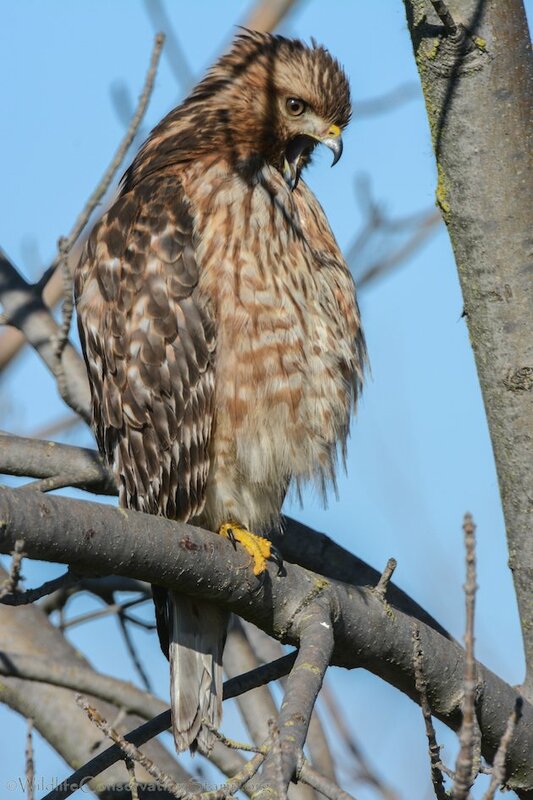 The juvenile Red-shouldered Hawk has a rather streaked bib and barred belly, this bird just beginning to show the red on its shoulders. The adult bird in the West has a much more solid red-orange breast with more distinctive barring on the belly. 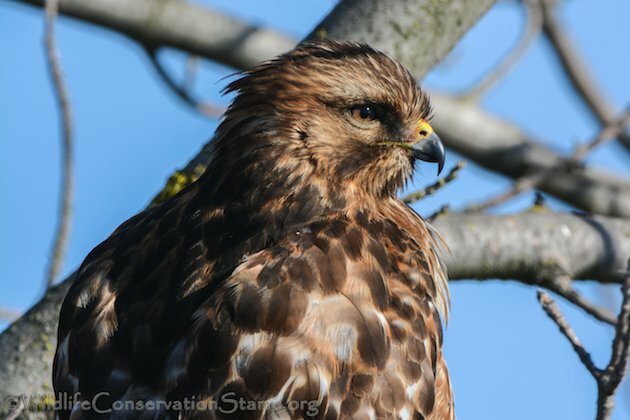 This adult was also seen at Sacramento NWR years earlier. 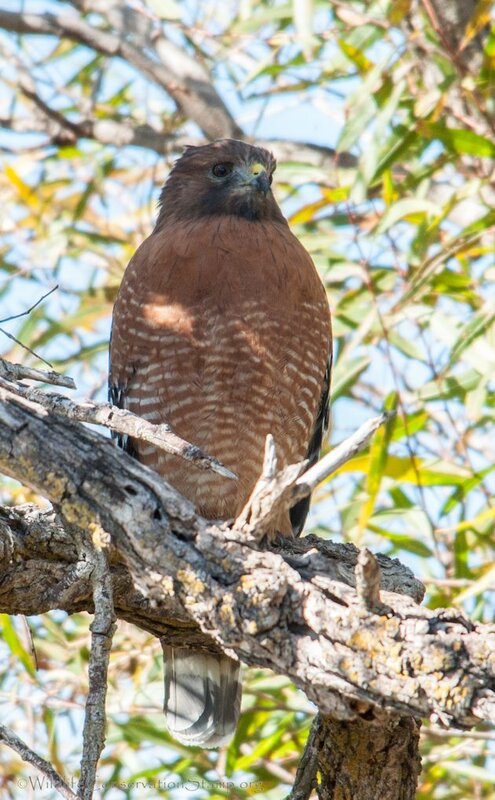 You may want to compare this dark Western Red-shouldered Hawk to Corey’s paler Florida variety here. 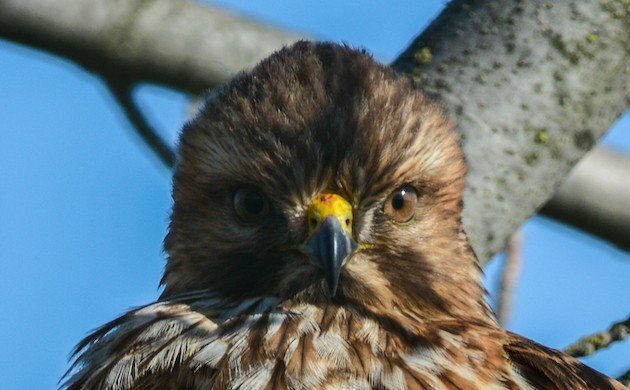 As you probably noticed from the featured image of the juvenile hawk above, it looks as if it has just finished a meal of some sort from the tinge of red on its bright yellow cere. The fact that this is a juvenile bird, and that it has recently fed, is probably the reason I was able to get this video of this beautiful raptor preening without it giving me a second thought. Very nice series, Larry! Pretty nice of the youngster to indulge you! Quite a contrast in the western adult and our pale Florida birds! Magnificent photography once again! I’ve never seen a juvenile. Thanks for a gorgeous series of photos of a stunning bird.